The preservation and evolution of South Korean cultural traditions became the dominant focus of Im Kwon-Taek’s films after the ease of censorship in a change of government regime. A number of his post-genre cinema began to address this though the real cultural reactions can be found in later work which can effectively be called post-Cannes; meaning the cinema he made during his currently slow but increasingly growing acknowledgment in the West. 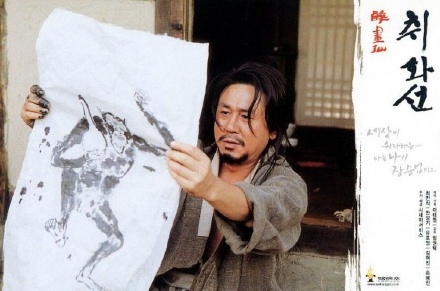 His 2002 film Chi-hwa-seon (literally translating to Painted Fire but known in the West as Drunk On Women and Poetry) shows yet another aspect of Korean culture under pressure from the encroaching cultures of foreign powers and the chaos of inner fighting between political groups and regimes. It is described as “yet another” simply because this has been Im’s point of thematic interest for some time with the most obvious example being 1993’s Seopyeonje. Chi-hwa-seon however has several advantages over the former, at least in terms of popularity. Chi-hwa-seon is based on the true-life of artist Jang Seung-Up giving it added poignancy by showing history to literally repeat itself. Like in so much of Im’s work, the narrative is not strictly linear but instead seems like a mirroring recapitalisation. The story begins with Jang showing off his painting skills to a large group of young scholars before being offered a commission from an important Japanese businessman. His lack of respect for the man at first seems undignified but this is deliberately emphasised so the story can naturally jump back to the beginning of his life to explain his reactionary flair. Im shows the artist growing up in harsh conditions: an orphan who has a very natural genius for painting but is often questioned about it because of his background. He secretly copies the priceless Chinese artwork from the collection of the aristocrat who has taken him in to work. The gradual anger of each step on his journey is allowed to build resulting in emotionally devastating consequences. Even when he is allowed into an academy, he is treated with scorn, only gaining the other’s respect by gradually showing them up through his unbelievable technique. 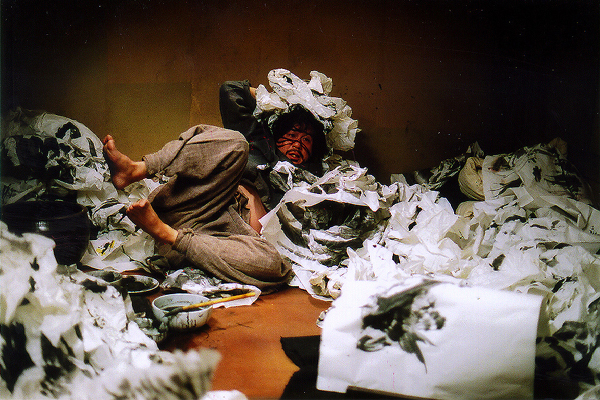 Im shows the artist as someone who is as volatile as the times he is living in. He drinks heavily, often resulting in violent outbursts which either destroy his artwork or make him lash out at his young helper. He dabbles in many of the vices that have become almost clichéd within the realm of the rebellious artist even initially living with a prostitute he falls for before being unable to cope with the jealousy that pours fourth. This episodic character building all leads back to the film’s opening. The first half literally builds the historical positioning and emotional being of the artist allowing the second half to fully expand on his story and the show the trouble that is caused by his rebellious streaks. As his name grows, he becomes more and more reliant on his fame to literally survive the dying of the Conservative dynasty and the tug-of-war violence between China and Japan. He gets commissions from the upper classes; leading back to the first women he fell for who is now happy to oblige him in secret. He eventually becomes the artistic and physical prisoner of a Japanese dignitary who demands beautiful artwork commissions. Jang escapes several times, though Im is careful to show that he is equally escaping from himself. His initial arrogance that arose from success seems to turn to melancholy as he is forced to produce work under duress. His position ironically parallels those of the Kisaeng he slept with when younger. The increasing political interference with his work begins to lend Jang the feel of Chinese artist Ai Weiwei. They share a number of similarities though it is clear that Jang was incapable of finding the balance that Weiwei currently has. 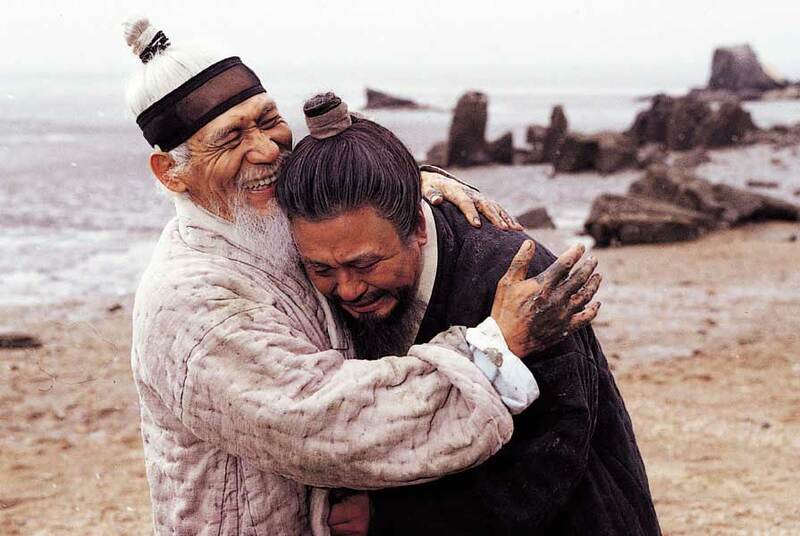 Min-sik Choi of Oldboy fame gives a startlingly ranged performance and even resembles the cuddly Weiwei as the character is shown to age into a gentler figure. In the end, Jang is left a wanderer, though this is to the advantage of the viewer as it allows Im to capture some beautiful scenery, all of which is photographed with precision and depth. Snow appears to one of Im’s go-to visuals which is apt for a director whose rebellion has often been quiet but constant. On a snowy beach, Jang meets his, now-exiled and hunted, old master collecting shellfish. The scene is only short but Jang’s emotional breakdown at this ghost from the past is the final place for the artist’s emotional cycle. From here Jang is shown to be too old and shaken of hand to carry on with his art. He tries to work in secret at a Japanese pottery factory (having been told that Korean painting is out and Japanese pottery being all the range now). He is respected there but treated as ultimately useless. The film ends on a note of magic realism with Im almost unsure as to how to end the artist’s story without being either sentimental or coy. It seems endlessly fitting then that Jang, the artist at odds with both himself and the way of life around him, quietly walks into the furnace of the pottery oven, destroyed by his own hand but with the apparatus of another culture. Berberian Sound Studio – Part 3 (Sound as Narrative and Conclusions).